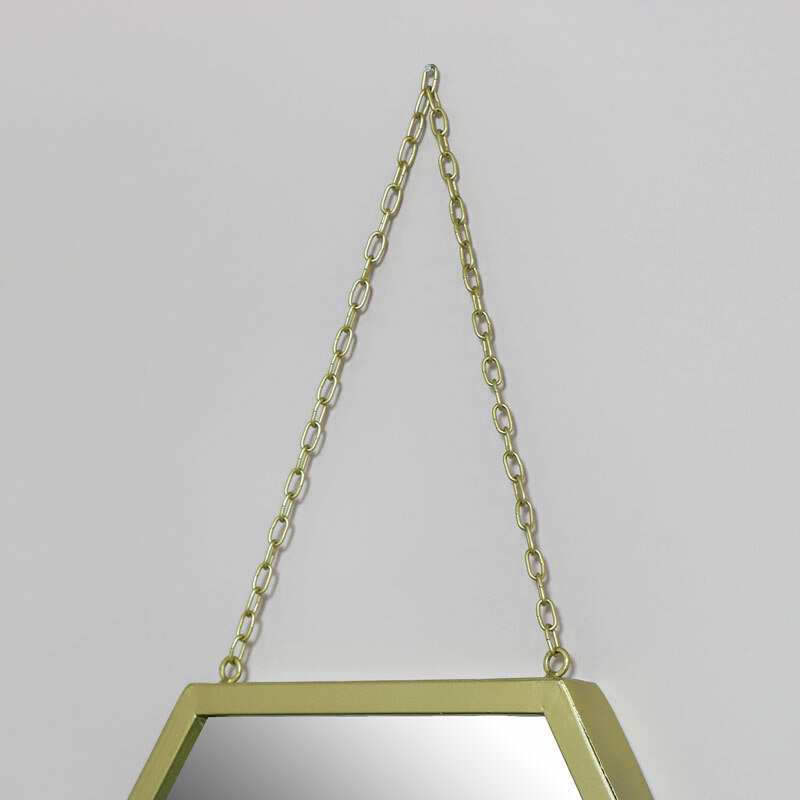 Gold Wall Mirror in Hexagonal Frame 45cm x 45cm - Large vintage gold hexagon shaped wall mirror. Glam, luxe style , the perfect wall mirror in gold Hints of an art deco feel, a great look for the living room, hallway or luxurious bathroom. With many more mirrors to choose from. A great way to add that finishing touch to any room. Hints of an art deco feel, a great look for the living room, hallway or luxurious bathroom. With many more mirrors to choose from. A great way to add that finishing touch to any room. 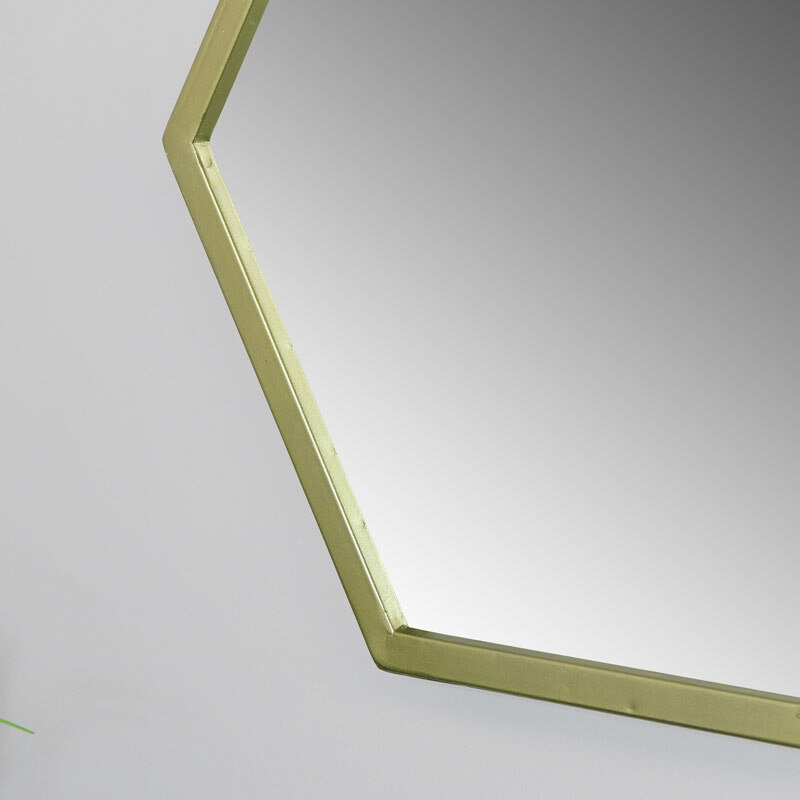 Metal hexagon shaped frame in gold painted finish. Easily wall mounted with gold metal chain. Our extensive range of wall and floor mirrors offer a great range of choice from the very large wall/leaner mirrors that add dramatic effect to the smaller vanity wall mounted styles, perfect for bathrooms.